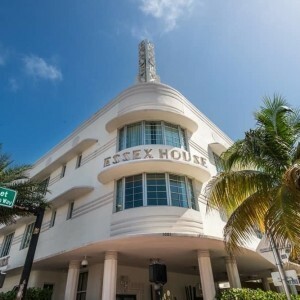 The Essex House Hotel located on Collins Avenue is one of Iconic Postcard Hotels of South Beach. 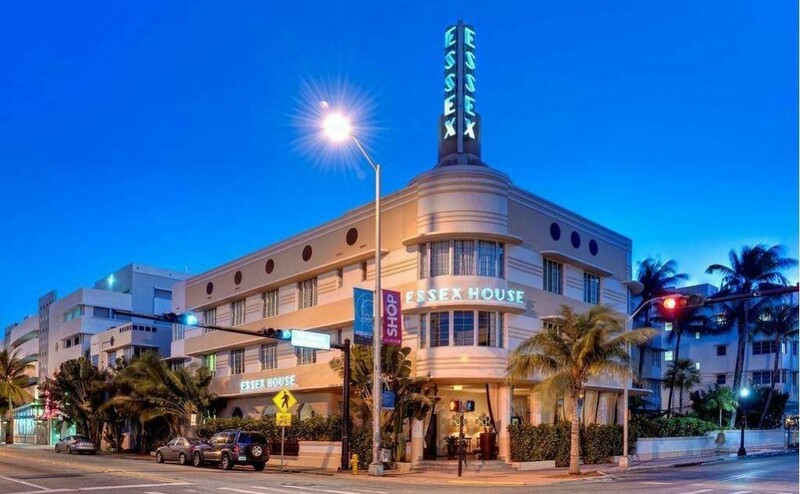 With its friendly staff, spacious rooms and delightful Art Deco Decor, the Essex House hotel promotes itself as an “oasis of calm.” This hotel has 80 rooms, but do to it’s location none of the rooms have a view of Miami Beach. There is an onsite pool, although it is on the small side. You can access Miami Beach via a 10 minute walk down 10th street. The Essex House is owned by the same company that owns the The Clevelander just across the street. Guests of the Essex House are allowed to use the pool and other facilities at The Clevelander. If you don’t mind walking across the street this is a great way to have access to more hotel amenities at a lower price. The biggest selling point for this hotel is it’s Central Location to the South Beach nightlife. Some of the best nightclubs and restaurants will be within walking distance. The downside to this, is it tends to get very noisy at night, and stays noisy. 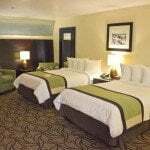 The rates for this hotel are excellent for the location making this one of our Discount Hotels. The Four Star Rating and great amenities, also make it one of our top Value Hotels. This hotel also gets higher ratings from couples, making it one of our Romantic Hotel choices. This hotel is not pet friendly and we wouldn’t consider it a family friendly hotel. This hotel is best suited for people who want to stay in the middle of all the South Beach nightlife, don’t mind walking to the beach, or to the larger pool at the Clevelander. Hotels similar to this include The Clevelander, The Congress Hotel, and The Colony Hotel. Beach Access – This hotel is a 5 to 10 minute walk from Miami Beach. 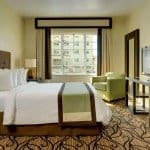 Discount Hotel – This is considered a Discount Hotel. A taxi from Miami International Airport to the Essex House Hotel should be $60.